. 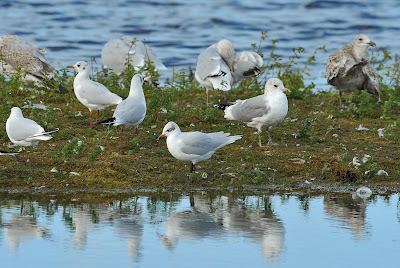 : Mediterranean Gull at Stithians Res. 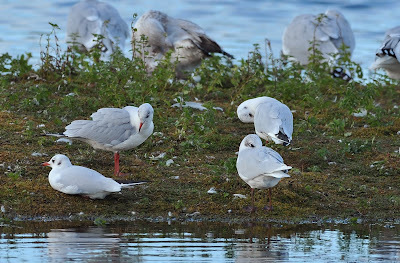 Mediterranean Gull at Stithians Res. 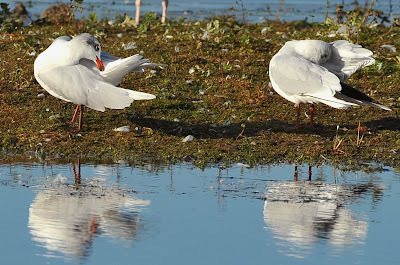 This splendid adult Med Gull was preening in the late afternoon sun directly in front of the hide. 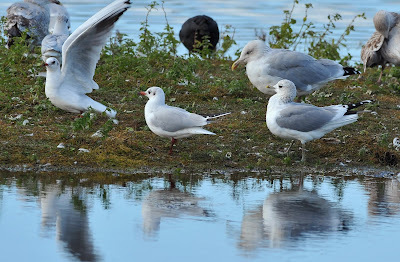 It was also joined by a Common Gull. Exposure was lowered to - 0.3 and I used my polariser filter to try and reduce any glare from the water. WB set to Sunny. ISO: 400. Focal length: 520mm.